When most people think of Thailand, they probably envision white sandy beaches, tasty tropical cocktails, stunning temples, and crumbling archaeological sites. They probably also conjure up images of delicious food and friendly people. Those were certainly the visions I had of Thailand before I visited the Southeast Asian nation. And thankfully, they all turned out to be true! But, after three months of exploring the country, I ultimately realized that Thailand has a lot more to offer travelers than just gorgeous beaches, temples, and people. There are also plentiful opportunities for getting up close to nature in some fantastic national parks, where the local wildlife comes front and center to the experience. Located near the famous island of Koh Samui, Ang Thong Marine National Park is an archipelago which consists of 42 islands in the southern part of Thailand. This park has limestone islands, karst mountains, and other dramatic rock cliffs which rise from the sea. You can explore caves, find hidden lagoons, and even go island-hopping to many different white sand beaches. 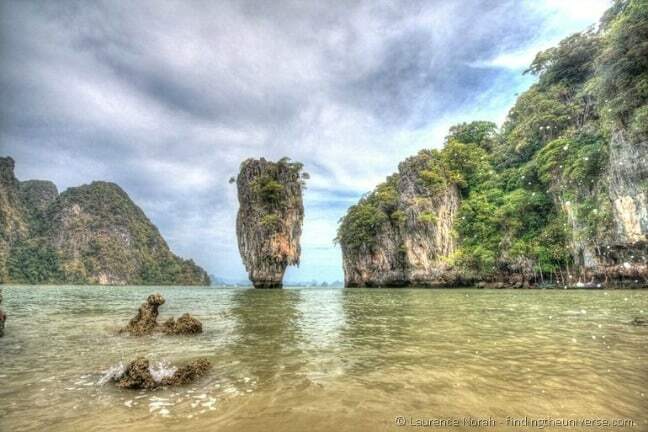 Ang Thong Park is a protected area with more than 100 square kilometers of land and sea. It can easily be visited on a day trip from Koh Samui on a speedboat, or you can join group tours on Thailand’s famous long tail boats. If you want to stay longer, there are simple bungalows and camping tents available on the main island, where the park headquarters is located. There are many activities to do there, like snorkeling, Scuba diving, kayaking, hiking or even just relaxing on one of the beaches. One activity you can’t miss is to climb up to the park’s scenic viewpoint, from which you can see most of the islands in the area. There are steps for the first few parts of the climb, and rest areas where you can stop to see the fantastic view along the way. The northern part of Thailand is much cooler (temperature-wise) and hillier than the plains of the center or the beaches of the south. It’s here that the foothills to the massive peaks of the Himalayas begin. It is also where you can find Thailand’s highest mountain– Doi Inthanon- which sits in the heart of Doi Inthanon National Park. 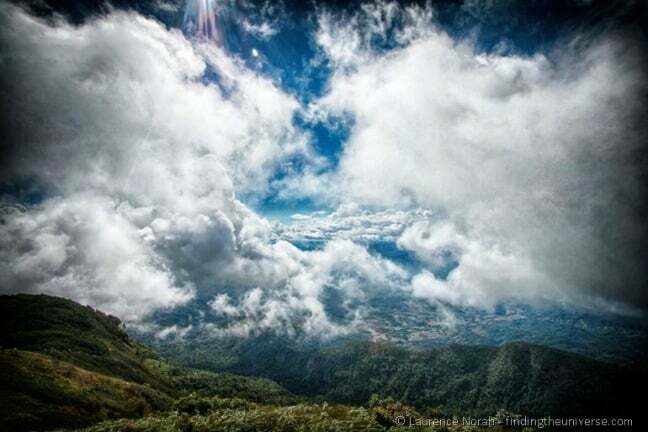 Doi Inthanon is home to fascinating micro-climates that you won’t find anywhere else in Thailand. There are also hill tribes (who will welcome you to their villages with copious amounts of homegrown coffee), gorgeous waterfalls, and superb hiking opportunities. 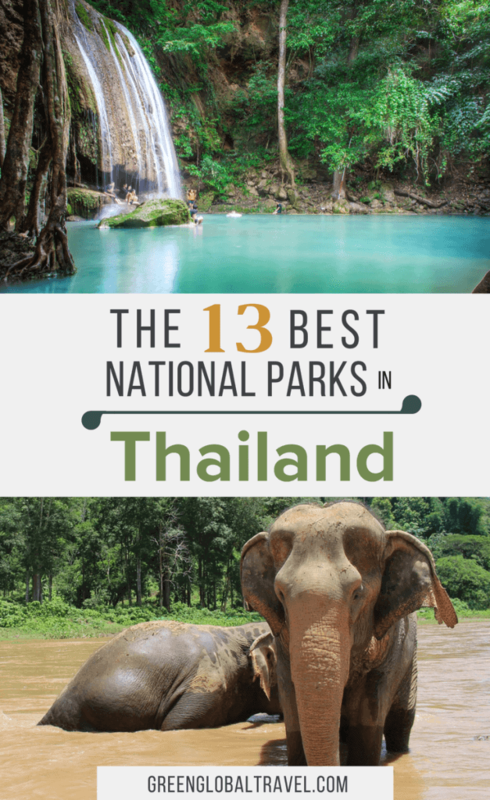 Erawan National Park is located in the Kanchanaburi Province, west of Thailand’s capital in Bangkok. The park was founded in 1975 and covers a total area of 550 square kilometers. Erawan is one of the most visited national parks in Thailand, mostly thanks its main attraction, the Erawan Waterfalls. The falls have seven tiers, which can be accessed with a short walk through the jungle of the park from the main parking area. 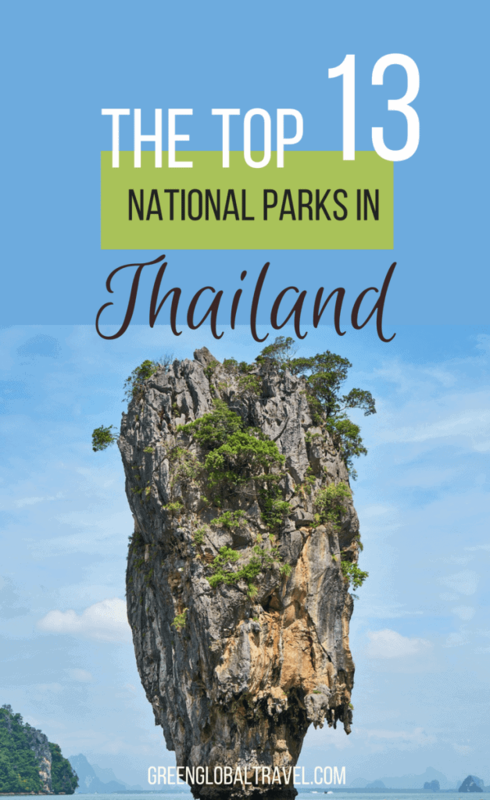 The national park can easily be visited on a day trip from Bangkok. If you have time, it is best to spend a night at Kanchanaburi and then head to the falls in the morning. You’ll want to beat the crowds and have a much better experience. At the fourth tier you’ll find a large stone, from which you can slide into the clear water below. If you feel adventurous, you should definitely give it a try. Warning: Don’t carry any food or water bottles on the outside of your bags and backpacks. There are numerous monkeys lurking in the treetops, and they will jump down to grab anything that looks remotely like a food item. If you prefer your nature experience to be more of the bird- and sea-based variety, you’ll want to head to Hat Chao Mai National Park. The marine park is located down in the southwestern corner of Thailand, in the Trang Province on the world-famous Andaman coast. Established in 1981, its 89 square miles include some impressive, protected coral reef systems. 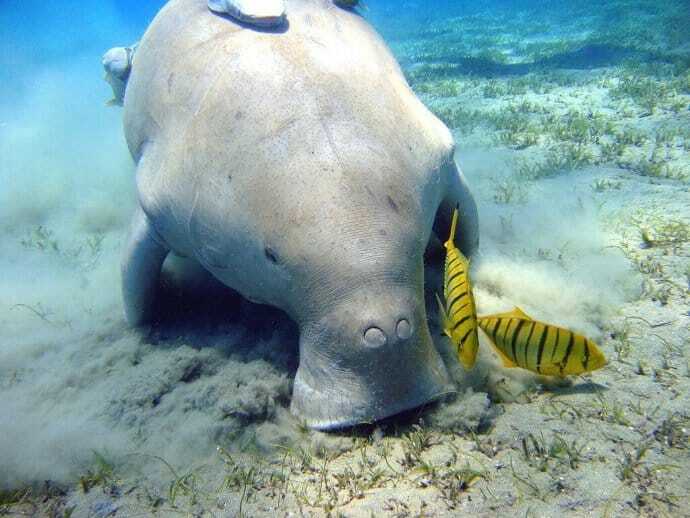 Here, the environmental conditions (which include vast expanses of sea grass and tidal mudflats) are perfect for both birds and aquatic animals, including the increasingly rare dugong. 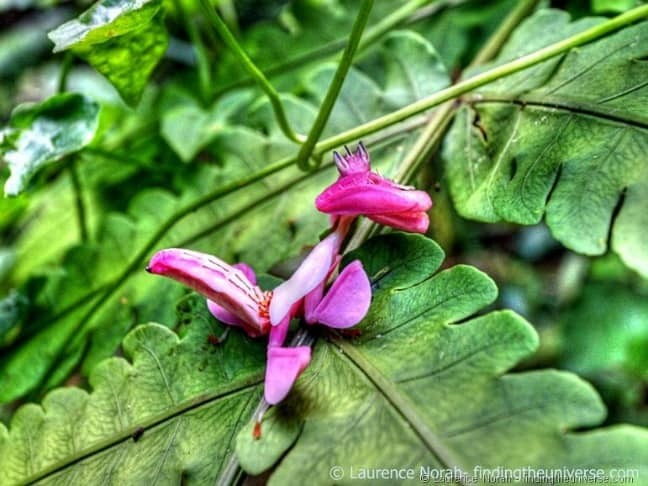 If you prefer your national parks to be of the largely unexplored variety, you’ll love Khao Luang, which found in the southeastern corner of Thailand near the city of Nakhon Si Thammarat. Khao Luang is home to the highest mountain in all of southern Thailand. Those stunning, 1,780-meter (5,840 feet) peaks mean that this park also offers luscious forests and spectacular waterfalls. Some of them cascade over nearly 20 tiers on their way down the mountain! It’s warm enough here to swim in the pools, and the myriad flora and fauna you’ll find in the park are fascinating. Located in Phuket, Khao Phra Thaeo National Park is the site of the only remaining virgin rainforest in Phuket and so much more. This park is ideal for hikers, boasting numerous hiking trails of various lengths as well as several impressive waterfalls. Bang Pae is the largest waterfall in the Phuket area, while Ton Sai is a smaller waterfall that’s located near the park entrance. Entrance to the national park costs 200 THB (around $6.30 US), but is well worth it considering the sheer number of hikes available to visitors. Numerous types of Asian wildlife can be seen in the park, such as langurs, deer, and monkeys. You’ll also find more than 100 different bird species and countless trees. But the park is perhaps best known as the home of the world renowned Gibbon Rehabilitation Center. Located near Bang Pae Waterfall, the center’s goal is to rescue and rehabilitate injured and orphaned gibbons before returning them to their natural habitat. Visitors to the park can contribute to the project by visiting the center and donating. There are many National Parks in Thailand that protect swathes of beautiful countryside and marine habitat. But Khao Sok National Park is among the most popular with visitors. One of the main reasons is because of the park’s easy accessibility. You can reach Khao Sok from coastal hotspots such as Phuket and Krabi as well as local airports at Phuket and Surat Thani, both of which are just over an hour from Bangkok. Along with its lush green jungle and towering limestone mountains, Khao Sok National Park is best known for the man-made Cheow Lan Lake. This beautiful lake was formed in 1987 by the building of the Ratchaprapha Dam. There’s lots of wildlife to be spotted in the jungles of the national park, including several species of monkeys, deer, and birds. We particularly loved our visit to one of Thailand’s most well-run ethical elephant sanctuaries, Elephant Hills. Another huge attraction is the lake itself. Boat trips allow visitors to appreciate the beauty of the exceptionally clean and clear water (which appears emerald green in the sunlight) and the imposing limestone peaks. Visitors can stay overnight at many locations within the park, including a number of options in the forest. 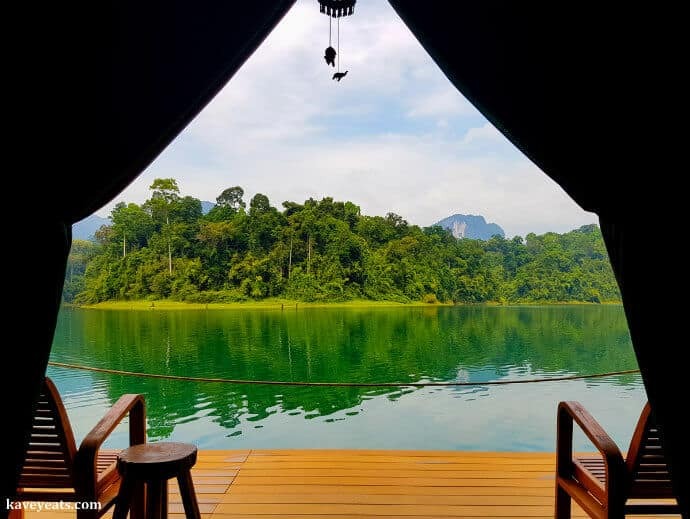 I personally loved our stay at a Cheow Lan Lake floating camp, with its tents built on decks that float at the lake’s edge. The third largest national park in Thailand, Khao Yai features stunning grasslands and forests, which reminded me very much of Africa. It’s one of the few places in Thailand where Asian elephants can still be seen in the wild, and we were lucky enough to see some as part of a guided hike. You can also take nighttime wildlife spotting tours, where you might see deer, wild pigs, porcupines, and more. 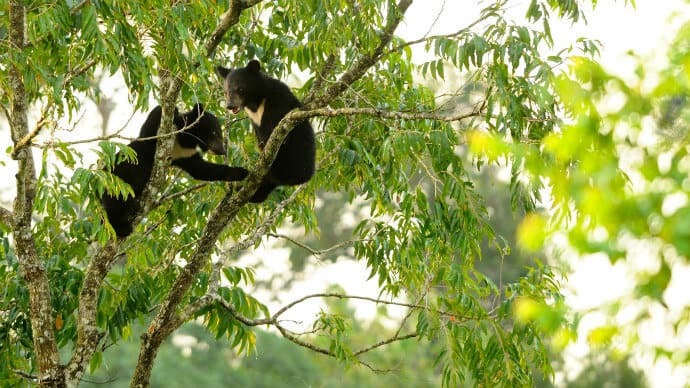 The national park is also home to the rare Asiatic black bear and even tigers, although these are very difficult to spot! 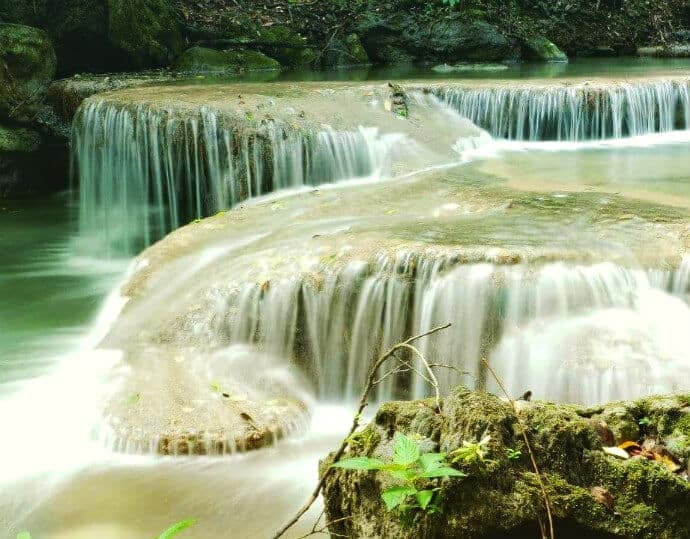 Along with a number of surrounding parks (including Cambodia’s Ta Phraya National Park), Khao Yoi is part of the UNESCO-listed Dong Phayayen-Khao Yai Forest Complex. 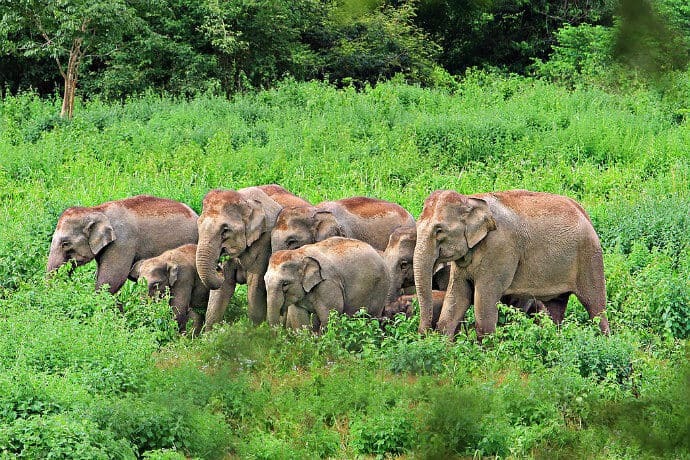 A highlight of any visit to Thailand, Kui Buri is another of Thailand’s national parks that offers visitors good chances to see Asian elephants in the wild. Here, you’re almost guaranteed to see elephants, none of which are subjected to harsh treatment or exploitation. Instead of being ridden or painting photos for tourists, you’ll see these majestic animals herding as matriarchal families through evergreen forests and grasslands. You’ll also have a chance to see other rare species of Asian wildlife, including the bison-like gaur, Asian leopards, muntjacs, Malaysian tapirs, golden jackals, leopards, bantengs, and langurs. Visitors can take day-trip safaris though the park or camp overnight. We recommend booking a guided tour, which will give you the best chance of spotting wildlife. Local guides keep in contact with one another to share information on where animals have been spotted. If you do self-drive, note that private vehicles are not allowed to pass beyond the Huai Leuk substation wildlife viewing area. The best time to spot wildlife is the late afternoon. But you must enter the wildlife-watching areas before 5PM, and will be allowed to remain there until sunset. Located on the southern tip of Koh Lanta in Thailand, Mu Koh Lanta National Park is the ultimate paradise for any wildlife and nature lover. But it’s not until you arrive on the island and ask around that you will really find out about this hidden gem. It actually includes several different islands (the biggest being Ko Lanta Noi and Ko Lanta Yai) which cover a total area of 134 square kilometers. 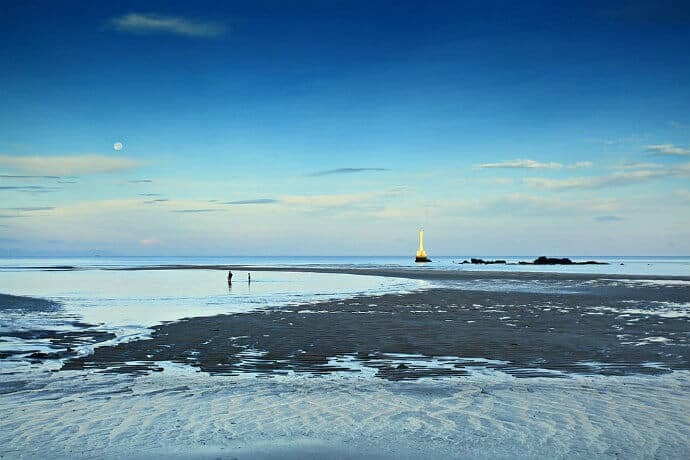 From rugged hillsides and rainforest jungles to beautiful white-sand beaches, you’ll find a little bit of everything in Mu Koh Lanta. Hike some of the trails and you’ll likely discover flowing waterfalls, or head out to some of the picturesque viewpoints overlooking the scenic coastline. You can also hang out with many different species of monkeys, or check out the impressive array of birds. 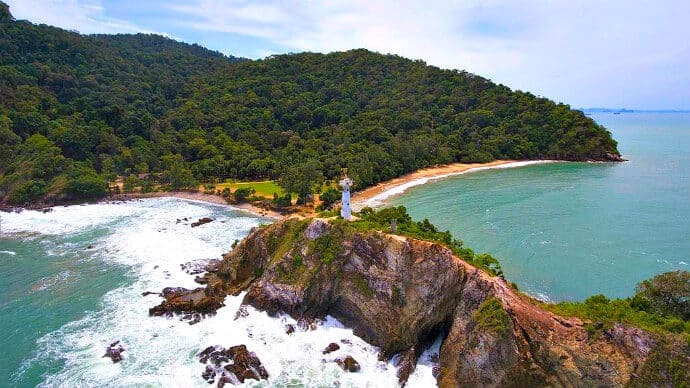 The popular Ta Noad Cape is home to a picturesque old lighthouse and gorgeous views of the Andaman Sea. The steep walk up to the lighthouse is also surrounded by 50-meter drops on either side down a jiggered cliff-side, so make sure you have good balance! The entrance fee to Mu Koh Lanta National Park is 200 THB ($6.30) for foreigners and 100 THB ($3.15) for foreign children. The park is open from 8:00 a.m. until 5:00 p.m. daily, and there are camping opportunities available. Just be aware that there are gates which get locked at 5 pm, so you will get stuck inside after hours. No Thailand National Park tour would be complete without a visit to Ao Phang-Nga National Park, whose bay is considered among the country’s most beautiful. The area is famous as the home to those stunning limestone karst landscapes you’ve seen in films like The Beach or the James Bond classic, The Man with the Golden Gun. Set in the calm green waters of Phang Nga Bay, exploring these island karsts by boat is a very popular activity, and one that I can wholeheartedly recommend. Chiang Mai is an enchanting and beautiful city located in Northern Thailand. It’s a bustling town that has many strings to its bow, and one of the finest of those is Si Lanna National Park. 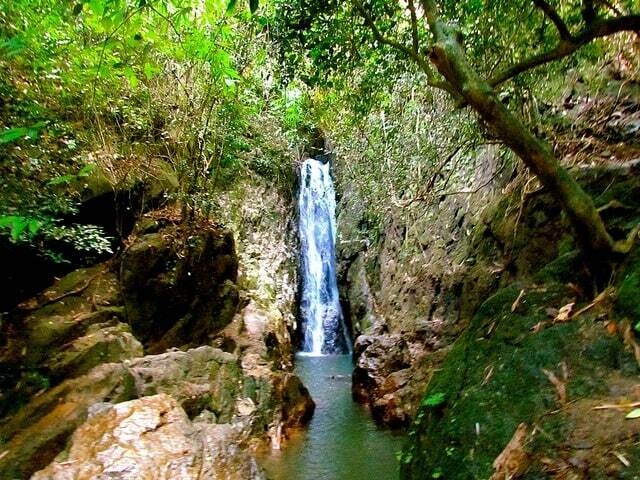 With an area of 1,406 square kilometres, Si Lanna National Park is an oasis of mountains and evergreen forest. Take a walk along any of its woodland paths and you’ll be rewarded with the divine smells of frangipani and magnolia mingling in the coniferous forest. Teeming with wildlife, Si Lanna National park is home to a number of massive mammals, including the Tiger, Asiatic Black Bear, and Wild Boar. 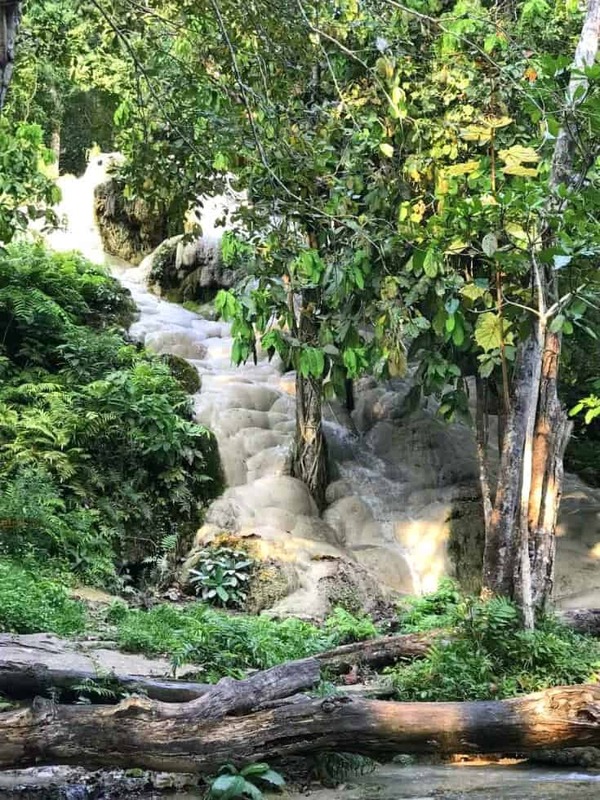 Hidden within a small opening of the National Park is the Bua Tong Waterfall, which is otherwise known as the Sticky Waterfall. These spectacular falls are supplied with fresh spring water containing a high amount of calcium carbonate. As the water cascades over the rocks, calcium is deposited, adding a non-slip surface to the rocks. This means that you can literally walk up the fast-flowing waterfall without slipping. The experience is quite bizarre! Tarutao National Marine Park is one of 22 underwater gems protected by the Thai Government. Located in the southern Satun Province, the park encompasses 51 different islands and nearly 1500 square kilometers of the Andaman Sea. The park is home to a stunning array of wildlife, both above and below the surface of the ocean. Scientists estimate that more than 100 species of birds can be seen there, as well as wild boar, civets, and mouse deer. However, the park is probably most well known for its colorful soft corals and large schools of fish. In short, it’s a great place for snorkeling and Scuba diving. Most visitors to Tarutao National Marine Park choose to stay on Ko Lipe, which is the only island in the Archipelago with substantial tourist facilities. The DNP (Department of National Parks) also offers a few modest bungalows on Koh Adang, as well as camping on Koh Tarutao with rentable gear. The park’s 200 Baht ($6.30) entrance fee allows you access to many spectacular beaches and islands, most of which are relatively unexplored.